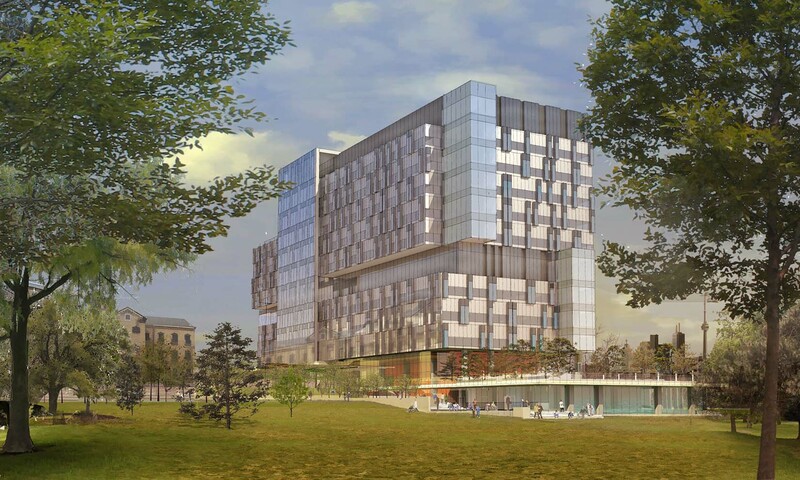 As part of a new approach to Canadian health care facilities the Bridgepoint Health complex, located along Toronto’s Don Valley on the historic property of the Don River Jail in Toronto, is both a regional and a community health centre. PFS Studio worked alongside KPMB and Stantec Architects to arrive at a site plan that is highly functional for a wide variety of programmatic uses in addition to being beautiful and inspiring. The incorporation of new civic spaces, a refurbishment of the historic grounds, and its integration with an adjacent public park make the Bridgepoint project significant to the City of Toronto’s public realm network. 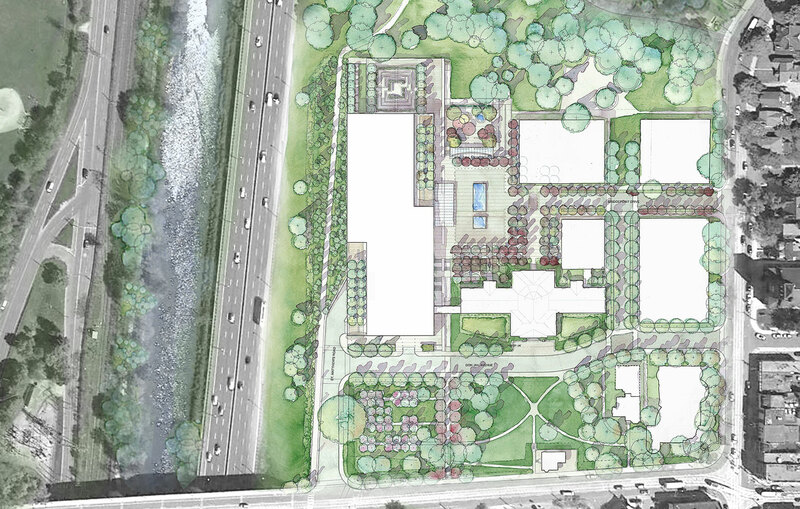 The landscape design builds upon the relationships of health, community and nature. These components are interwoven into all aspects of the site and are strongly fused with the building program.